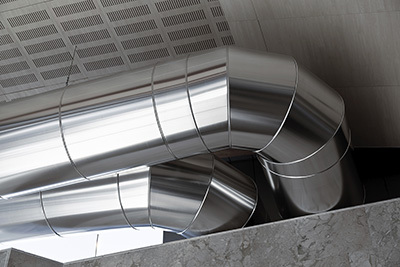 The main rule is that air duct repair or even replacement is needed when there are several cracked points at the duct walls or the connections are not properly sealed. In the case of dryer vents, you might need to make some changes even if the ducts are not damaged. 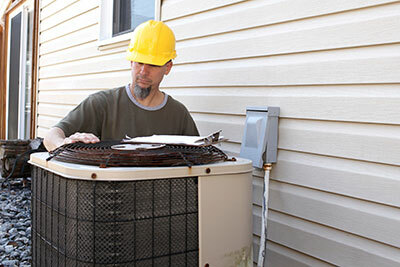 With HVAC air duct problems, you will lose energy and might face health issues. With the wrong dryer vent installation, you might be facing death. Many people get sick as a result of filthy air ducts, but no matter how serious these issues are, they are fixed with air duct cleaning. Can you say the same for overheated dryers? When it comes to dryers, things might be a little different. Although dryer duct cleaning and proper lint removal solve most problems, which could lead to accidents and threatening safety hazards, sometimes cleaning is not enough. Sometimes, it is necessary to combine some actions in order to get the best results. When we are talking about results here, what we actually mean is efficient dryer operation and zero possibility of fires. * It goes without saying that dryer vents should be replaced when the ducts are ruined. A small crack would require dryer vent repairs and can be handled, but Band-Aids are not always the best solution unless we are talking about a tiny hole. By replacing the damaged ducts, you can be sure that the dryer will work efficiently and you won't lose energy. * Dryer vent replacement will be also needed when the existing ducts are made of flammable materials. Some people claim that flex foil dryer vents are flammable. In other words, you run a double risk of having such materials installed at the dryer. With vents filling up with lint quickly and flammable ducts, chances are that your laundry room won't be safe. It's best to get metal ducts. It's best to avoid flexible ducts for one more reason. They can be easily crushed behind the dryer and in this case air won't circulate properly even if you are cleaning the dryer vent regularly there will still be a possibility of fire. * It's also prudent to replace dryer vents when they are too long. They should be about 10'. The more they extend the more insufficient the dryer will be. Apart from losing energy, you won't have easy access to check dryer duct properly or clean it, and such things could lead to risky issues as well.